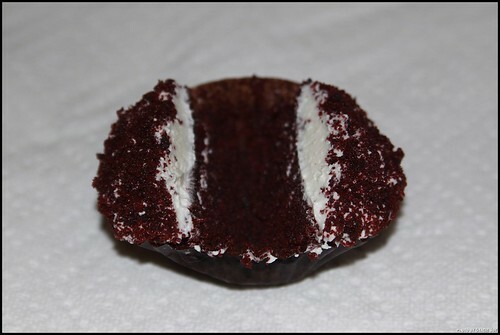 I've always wanted to try the mail-order cupcakes from Williams-Sonoma, made by Perfect Endings, but the price tag was a bit cost prohibitive. 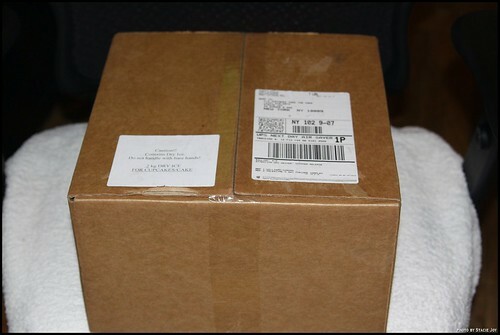 So when Williams-Sonoma offered to mail me a free box, I jumped at the chance. I was wondering how the company would manage shipping and if the cupcakes would be tasty after their big trip. 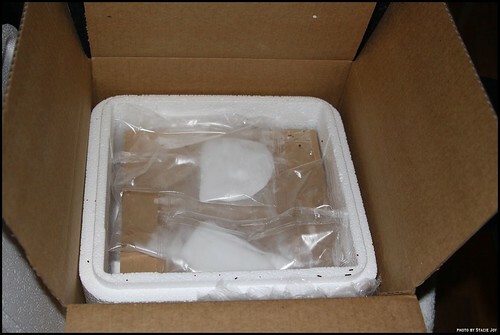 They arrived packed in what looked like a Styrofoam cooler, with a card of defrosting directions on top. I wasn't thrilled with the cooler, but I decided to reuse and recycle it. 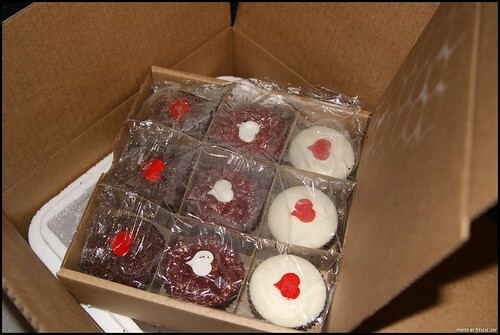 The cupcakes looked frozen but in great shape. There were three each of the three flavors: Chocolate-chocolate, vanilla-vanilla, and red velvet. 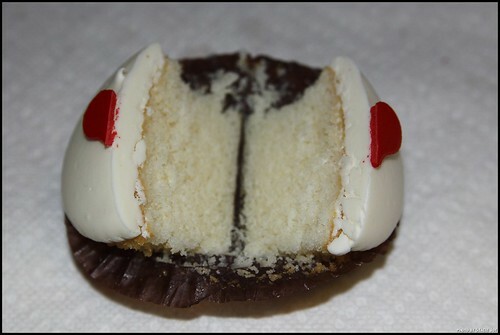 The vanilla was very good, with a moist dense cake and a sweet creamy frosting. 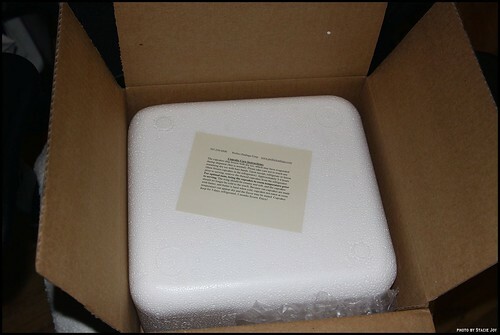 The company recommends letting the cupcake come to room temperature first, which I should have done, because it is much much better at room temp. Also, I tossed the fondant (?) heart on top, and you should too, it's awful. Pretty to look at though! 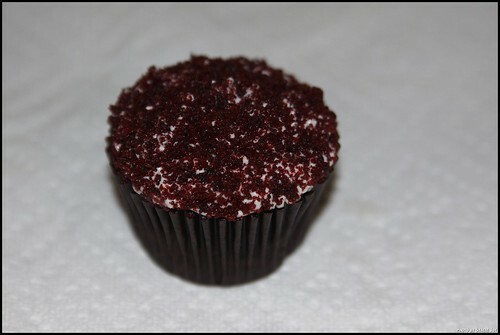 The red velvet was not very red, which I appreciated, as it didn't have the typical chemical taste that red velvets can have. You know, I have no idea if the frosting was cream cheese based, but it didn't taste like it. The cake was cocoa-y and again, moist and dense. The chocolate-chocolate surprised me, because I really liked it! 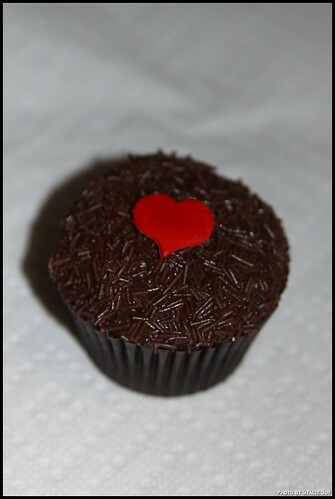 I am not a huge chocolate fan, but this cupcake was yummy. With several large glasses of ice-cold milk I would have been in hog heaven. The frosting was rich and gooey and creamy and dense. Everything you might want in a chocolate frosting. Again, toss the fondant decoration. 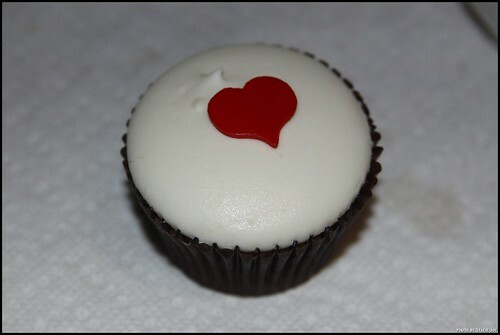 I wasn't a huge fan of the waxy sprinkles, but they did add a bit of texture to the super-creamy frosting. 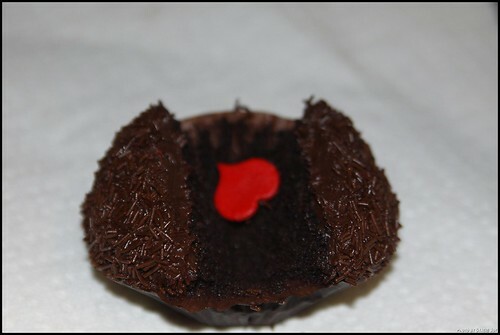 The cupcakes were pricey at approximately 50 dollars plus shipping, but if you couldn't bake any yourself, and don't have any bakeries nearby, you could proudly serve these as a Valentine's Day treat. And a lovely gift delivery to a sweetie. 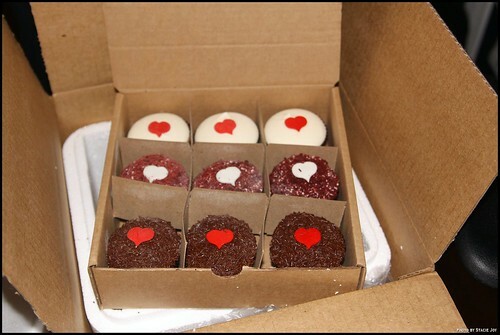 We get a lot of queries about shipping cupcakes and companies that do it, and Williams-Sonoma's Perfect Endings cupcakes shipped perfectly. The cupcakes keep in the fridge for about 3 days, or 2 months in the freezer.